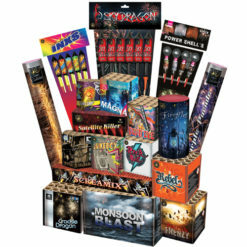 Dynamic Fireworks a company you can trust. We treat your personal information as just that – personal, we will treat it with the highest standards of security and confidentiality for you, and rest assured we will never share any information about you with any other company for their own marketing campaigns. When you place your order for any of our products, register online for an account, enquire about our professional services or sign up for our communications, such as email newsletters or receive our catalogue we collect the information required to fulfil your order or interest in our products or if you complete surveys or enter competitions. Also, when your browsing the Dynamic Fireworks website, we may collect information about your website visits using ‘cookies’ – click here to view our full cookies policy. Your information allows us to fulfil any enquiries or orders you place with us, update you on your orders progress and assist you with any future customer service enquiries. If you have signed up for our electronic communications or chosen to receive our annual brochure (see How will we keep in touch? ), we’ll use your information to provide you with interesting and relevant details. We employ the services of third party companies to support our business for specific functions, for example: delivering your order (via designated explosive couriers); processing payments (using a secure payment providers); sending marketing communications (using a postal or electronic communications service providers); and validating and analysing our customer data (using a small number of designated data specialists). For certain purchases, we may need to verify your identity for age verification and fraud prevention purposes using the services of a third party. All third party service providers we work with are carefully vetted and highly trusted by us, and they fully comply with our Privacy Promise and applicable data protection laws. Furthermore, they only use your information to perform the services that we have employed them to do. How will we keep in touch? If granted permission, we would love to keep you up to date with the latest information, products, special offers or promotions and more. We would wish to contact you by post, by email and via other digital media including our social media outlets, or any similar applications that become available. If you have already agreed to receive our communications, we will happily continue to provide you these updates, unless we think you no longer require them or you ask us to stop. We will always aim to fulfil your request with no fuss or delay, but may not be able to stop any information sent prior to your request. 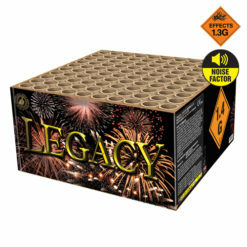 Dynamic Fireworks promises never to bombard you with too many marketing communications. 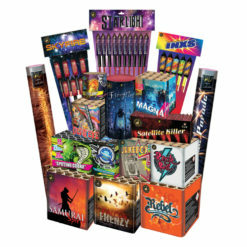 No other companies will contact you as a result of signing up for Dynamic Fireworks marketing communications. We hope you will enjoy receiving our catalogues and electronic communications, aimed at providing you with up to date information, promotions and offers, but if at any time you wish to stop receiving our communications, simply contact us. You can also unsubscribe from email communications at any time via the unsubscribe link that appears on every email newsletter. 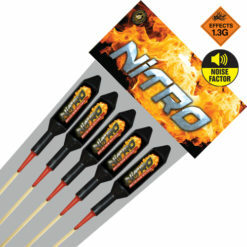 If you have any reason for concern, please contact us in the first instance and we will do our utmost to resolve the matter, we are available on 01206 762123, email sales@dynamicfireworks.co.uk or write to Dynamic Fireworks, Unit 18 Peartree Business Centre, Peartree Road, Stanway, Colchester, Essex. CO3 0JN. We regularly review our policies and work with the appropriate regulatory authorities regarding privacy, GDPR and data protection.